The Creative Clinical Teaching in the Health Professions cover by Athabasca University is used under a CC BY-NC-SA license (https://creativecommons.org/licenses/by-nc-sa/3.0/). Creative Clinical Teaching in the Health Professions by Sherri Melrose PhD, RN, Athabasca University, Caroline Park PhD, RN, Athabasca University, Beth Perry PhD, RN, Athabasca University is licensed under a Creative Commons Attribution-NonCommercial-ShareAlike 4.0 International License, except where otherwise noted. The text covers a wide range of topics in an overview manner. This is perfectly acceptable in an introductory text such as this, as most of the topics covered would require a book of their own to be explored in depth. The amount of information provided is enough to give the reader a quick understanding of each topic that is just enough to make the practical tips offered comprehensible and situated within their proper context. Another chapter or two specifically around the best techniques to use for bedside teaching and competency-based education could be considered in a future edition. The text provides a table of content. 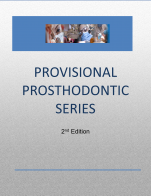 In the online version, each chapter is subdivided into its subcomponents and thus easy to navigate. The PDF version does not offer the same option. Providing an index at the end of the book would be a nice addition. I did not miss the glossary as all words and expressions are well explained within the text itself. The content is generally accurate. I did find a couple of topics that were presented with a bias, but these topics are still being researched and explored in the literature. For other topics where a bias was visible, a visible effort had been made to at least let the reader be aware of the “flip side” of the argument. 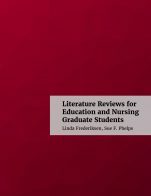 The authors of this text have a strong grasp of the nursing literature, but for a text that is for “health professionals” in general – as opposed to nursing specifically – the content accuracy could have been improved by checking recent health professions, medical and general education literature as well. 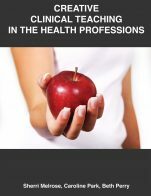 Some of the topics referred to in the book have been explored more in-depth in other health professions. As the text does not go into too great detail for any particular topic, it is unlikely that any major changes will be required within a short period of time. The text is organized in a way that will allow quick and painless reorganization/updating if needed. 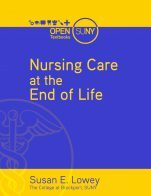 Coming from a health profession other than nursing, I found this text to be very much nursing-oriented, both in its references and examples. If it was to be used as a primary text for beginner clinical teachers in other health professions, it would require quite a bit of work to remodel (e.g., references, examples, tips, etc). The text is very clearly written. A historical preamble to a topic is offered at the beginning of each chapter, but it is easy to read and allows for enough background information to be provided on a topic that may be unknown to the reader. Sometimes the text can be weighed down and difficult to read when too many references are inserted within a paragraph (i.e., two or three sentences in a row are each referenced with over 3 citations each). Some of the practical tips ask you to think of ways to do a task, but limited answers are provided, if any. For example, readers were asked to think of ways to disseminate some of their teaching innovations. Other than sharing it in a publication, no other suggestions were offered. I would hope that in a text directed at early career preceptors, more answers would be offered whenever questions are asked within the text. Yes, the chapters are all arranged in the same consistent manner and use the same terminology. In both the online and PDF versions, it was very clearly indicated when Creative Strategies or From the Field sections were inserted. The content is well organized and divided into manageable chapters and sub-sections within chapters. The text periodically ties in new material to previously described content, and reminds the reader in which chapter this information was found. Should there be a need to reorganize the text, this self-referring would not be too extensive to work around. Yes. In particular, it should be noted that there is rarely more than 2-3 pages of theory before a practical tip is offered that makes the theory "come alive". I preferred to use the text as a PDF as I found it easier to read that way. In the online version, the reader simply keeps scrolling down and down the page. It reminded me of webpages from the early 90’s with run-on text. When presenting such a text online, better use of hyperlinks and separate but linked pages for each major sub-section of a chapter would be beneficial. Neither the PDF nor the online versions, however, had any interface issues. A few typing errors were found, consisting of incorrectly capitalized words at the start of sentence or in the middle of sentences, and one or two omitted words. None of this affected the ability to read and understand the text. The text is not culturally insensitive or offensive. However, the text is quite obviously geared towards nursing clinical preceptors. While all the theories and background information presented are shared by any educational program that has a hands-on component, be it in the health professions or not, the examples and references are quite specific to nursing. This is not a problem per se, except that the text’s title refers to health professions in general. This is an easy to read book which clearly presents some of the underlying educational frameworks and theories while presenting tips for practical applications. Some of the strategies offered are indeed creative and I look forward to adapting them and trying them in my own environment. However, the majority of strategies are just solid, common sense, practical suggestions that any beginning clinical preceptor should be aware of early on in their career. For non-nursing preceptors reading this book, simply be aware that you may need to adapt to your own realities several of the practical tips provided, and may need to research the literature within your own health profession. There are multiple pages of references offered in this text. I would have liked to see these references separated into those that are directly referred to in the text and those that are useful in continuing to read more globally around the topics discussed in each chapter. The amount of references can get overwhelming for someone who is looking to read more in-depth about a topic but does not want to pull up multiple individual study articles. As an example, there is a brief description of the steps to follow when developing a case study. The description is sufficient to get a taste of how case study development is generally done, but probably too vague to truly allow a beginner to feel comfortable with the process. This would be a great time to refer directly to a handout/article/etc that provides a more in-depth explanation with perhaps some examples. A few similar examples could also be listed here. I would question what appears to be an endorsement of Carolina Health Care Systems in Chapter 5. There are several Canadian, American and international companies that provide a wide variety of task trainers. While I understand that Carolina HCS was offered as an example, it was then followed by a page-long table of hyperlinked links to various training equipment, most of which would be incredibly difficult for individual preceptors to afford. The optics are also those of an endorsement of this one particular company, as opposed to having links to several different trainers offered by different companies. Considering how much flack health professions get for being "bought" and controlled by commercial and pharmaceutical company, how to present industry-linked information is certainly an interesting dilemma. The text covers relevant concepts applicable to the clinical teaching environment and contains helpful “From the Field” ideas for bringing innovation and creativity to the process of providing orientation to the clinical area. The provided review of theoretical foundations of clinical learning was applicable to clinical teaching and succinct. This is a welcome resource for novice educators. The text could be enhanced by the addition of a glossary. Content is accurate and unbiased. Page 49: use of the wording “poor mental health” might be reconsidered. Page 48: I am not sure a learning disability is best placed under the heading “Emotional Diversity” as the student’s disability may have little to nothing to do with emotional regulation or otherwise; although they can benefit from an emotionally supportive instructor. Page 49: I am not sure that substance abuse is best placed under the heading “Emotional Diversity” as the word addiction is used, which may indicate a serious and different concern than 'substance abuse' or an emotional issue. Although I appreciate that this topic should be included, perhaps in a slightly different way. Content is up-to-date, and also reflective of the historical knowledge as it relates to andragogy and clinical teaching. The text is easy to read and uses sections of “Creative Strategies” that have technical terminology; but are very well explained in each section. The text is consistent in organization, terminology, and framework. The text is easily divided to provide section of information related to one area of clinical teaching. The text would be a helpful resource for clinical teaching for novice instructors and could be used as instructor reference material for almost any clinical course in the health professions. The topics in the text are presented in a logical, clear fashion and interest is added with the use of diagrams, creative strategies, from the field ideas, and tools to utilize for professional growth. Links provided to all of the simulation equipment that was presented, very helpful. Page 46: From the Field by Mary Ann Morris: text reads “centring to become fully present”. Should read “Centering to become fully present”. Cultural diversity was not addressed in the section that addressed emotional and generational diversity. An opportunity exists to address the concept of cultural diversity as it relates to teaching, learning and within a clinical group. This text is very relevant to clinical teaching and brings together theoretical foundations, ideas and practical items for professional growth, as well as relevant ideas from seasoned professionals. The textbook is very much like an operational manual or handbook for the clinical setting in that it offers seven chapters of how to apply theoretical foundations of teaching and learning into the clinical learning environment with a strong emphasis on acute care settings where the majority of nursing students work following graduation successful completion of a Bachelor of Science in Nursing program. This text could benefit from an effective glossary and acronyms page. It would be interesting to have additional ‘creative strategies’ for the rural and remote settings and the use of additional technologies in practice that supports these clinical placements. This textbook, overall is accurate and uses diagrams, such as the “Worry quilt” and supplementary material which is accurate and error-free. There is minor formatting, spelling and punctuation updates that are needed. I am uncertain about what appears to be the use of judgmental language on pages 57 and 58 of 123. All of the content appears to be up to date. The references included are up to 2015. It would be beneficial to update the references with current articles from the last two-years. While the textbook has been organized in such a way that the necessary updates are straight forward to implement, this textbook would benefit from embedded links for the references and the nursing simulation products. These links appear to be broken when viewing on the pdf version on the website. 2. Page 99 of 123: “Learning contracts” may be deemed punitive, agreements or understandings may be considered. The topics are very well presented, there is a clear flow and the “from the field” boxes allow for real-world scenarios. 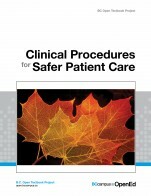 This textbook should be available to all nurse educators working with students in clinical settings. It gives the educator ideas and specific strategies to address clinical situations that arise in nursing education. Page 69 of 123: the blue box from page 70 is left over on the bottom of page 69. Page 70 of 123: a page break is needed to prevent the “Creative Strategies” box at the bottom of the page from being distorted. Page 21 of 123: the author “Anita Jennings” is in bold, either unbold this reference or bold the additional two authors for consistency. Page 112 of 123: consider adding bullets to the indented list of actions. Page 88 of 123: Change “Millenials” to “Millennials” or generation Y.
R e g u l a t i o n	d i v i s i o n	o f	t h e	C N A	p u b l i c a t i o n .
Page 91 of 123: Kenny et al reference spacing needs to be reset. Page 77 of 123: O’Sullivan reference needs to be reformatted as the spacing is not consistent. I was surprised that there were no Indigenous Cultural Competencies integrated in the textbook. This omission does not provide its key audience with strengths-based strategies to ensure learning environments in the clinical setting are culturally safe. The Truth and Reconciliation Calls to Actions for nurse educators to indigenize the curricula which works to transform education and creating culturally safe environments. I would hope these competencies would be included in the update. There is limited information on horizontal violence that student nurses may face in the clinical setting. The “Worry Quit” is a creative approach that assists the student to address their concerns which includes “getting yelled at by a doctor.” However, another ‘creative strategy’ to assist student nurses to address horizontal violence in the clinical setting. This textbook could be enhanced with an acronym page and common terminology such as: teacher, clinical educator, nurse educator, clinical instructor, preceptor and mentor and clinical teacher and practitioner. The templates are useful, adding a “learning agreement” template could inform the preceptor of learning agreements. This text provides many ‘creative strategies’ using useful blue boxes which can assist the clinical teachers. A “role clarity” table may assist future readers. Good comprehensive glossary at the end of each chapter and well referenced in text. I did get a printed copy of the text and was disappointed to see the cover photo- it depicts a hand holding an apple with a white uniform on the person behind- I am assuming this is supposed to be a nurse? The nails on the person are clearly artificial and very long and perhaps have clear polish on - all of these are not allowed for infection control in the clinical setting so I felt it was a poor choice of photo. I liked the use of different colored text boxes for " creative strategies" and " from the field" suggestions. Some text boxes were broken up by a new page which was a little confusing to read - for example page 42/43. I think that the titles in the text boxes "creative strategies" and " from the field" would have been better in bold. Page 41 - in the " Plan to advance your career " box the first sentence is not capitalized.. This text seemed very current and I think it would be easy to add in further chapters- perhaps related to technology in the clinical setting for example with ease. Or a Q and A section from clinical teachers for specific clinical situations that might be relevant to other instructors. Text very clear and easy to follow - very readable. Yes the text starts with the introduction/review of theoretical foundations and builds on that throughout the rest of the chapters to relate this to clinical teaching. Good use of references in text. Yes the structure an flow of the text were good. It was easy to follow and sequentially made sense to begin from the theory and move onto the clinical teaching role and end with preceptors. I actually found the text very neutral and perhaps absent in this arena. There was no mention of gender or culture or sexual orientation or how these could impact teaching in the clinical setting. I think this would be helpful to have in this book as there are many issues that come up in these areas that can be challenging for students and clinical instructors that do need to be identified and developed. There was nothing offensive it was more an absence. For example - I had an experience recently where a transgendered male to female student who was only partially through her treatment was wanting a reassignment of her patient assignment as her male patient with dementia kept calling her male . This created a very unusual situation to process for all involved. These types of situations will become more common. I think this an excellent text especially for new clinical faculty. There is very little to support novice instructors and I wish I had this text when I initially started clinical teaching ! This is a well design text that support the understanding of teaching and learning theory and application to nursing practice. Agreed, the content has a strong theoretical background and is well referenced. Examples from educators are relevant and easy to apply. The work is very approachable and easy to read. The examples from practice are engaging and the assessment tools are well chosen. The text is based on the theory of teaching and learning in nursing practice, while not limited to being easily used in other settings by other educators. The text is well organized and follows a clear pathway for the novice educator to understand the theory, their role as an educator and then application of the learning tools provided. Yes, well organized with a clear flow of ideas and opportunities for application and reflection.